Your feet are an important part of your body, especially when you consider what they go through each and every day. The average person takes about 8000 steps over the course of one day, so it’s only natural that many people will experience some type of foot pain. Plantar fasciitis (sometimes referred to as heel spur) is a common and extremely painful foot condition that can become chronic without proper plantar fasciitis treatment in Thousand Oaks. Fortunately, this condition will respond well with treatment from a Thousand Oaks chiropractor. The most common symptom is pain that typically occurs in the front and the bottom of your heel. The pain may also be over the entire bottom of your foot. Plantar fasciitis pain can vary from mild to debilitating and it can last for a few months to a lifetime. However, in many situations, without proper plantar fasciitis treatment in Thousand Oaks the pain often becomes chronic. The pain can be felt at any time, but it often occurs first thing in the morning and/or after sitting for a long period of time. If you experience severe pain, it may be the result of an irritation to the bone and nerve from extensive tension, scar tissue or inflammation in the fascia. Pain may increase with excessive standing and walking. Along with basic at home remedies, such as decreasing walking, stretching and wearing shoes with good arch support, a Thousand Oaks chiropractor can provide effective treatment for plantar fasciitis. Many patients use chiropractic care in conjunction with massage, physical therapy and even injections to help manage the pain and treat plantar fasciitis. Chiropractic care can also help speed the healing as well as provide better mobility. It is important to note that plantar fasciitis may take several months to fully heal, but including chiropractic treatments in your recovery plan, you can have quicker pain relief and learn to effectively manage the pain. 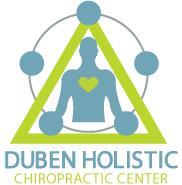 For more information about plantar fasciitis or to schedule an appointment with our chiropractor, contact Duben Holistic Chiropractic Center. You can reach us at 805-468-4437 or visit us at 3625 Thousand Oaks Blvd #172 in Thousand Oaks, CA.